Running in Costa Rica. Best routes and places to run in Costa Rica. The Republic of Costa Rica is a coastal country in Central America, wedged between the Pacific Ocean and the Caribbean Sea bordering Nicaragua and Panama. This bio-diverse and environmentally progressive nation is known for its ecotourism, and is the most visited country in Central America. 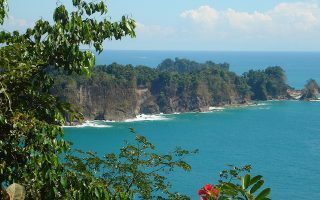 It’s a challenge to provide a truly comprehensive guide to running in Costa Rica, but we’ve researched the best running spots in some of the most visited areas. 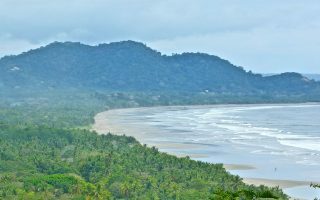 Some of the best places to run in Costa Rica are on the gorgeous, compact sand beaches of the Nicoya Peninsula (west coast). 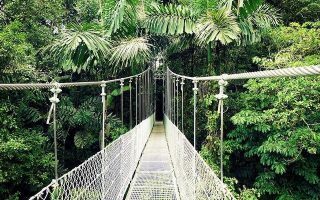 While not all of Costa Rica’s National Parks are runnable, some of the most popular natural areas — including Arenal, Manuel Antonio, and the Monteverde Cloud Forest — have great accessible trails. 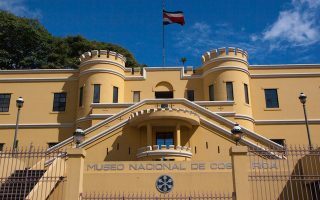 There are also some top-notch spots in the capital city of San Jose, Jaco Beach, and Quepos. A couple of notes about running in Costa Rica: weather is a major factor — from the heat at any time of year to significant rainfall during the wet season, which can affect running surfaces. Roads might be narrow and pothole-filled in areas. And in the National Parks, there are set hours, admission fees, and crowds that might make affect the runnability of the trails. 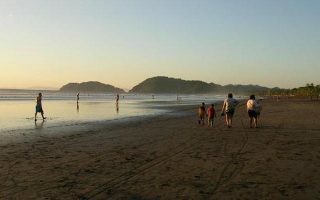 The best beach running in Costa Rica is along the Pacific coast of the Nicoya peninsula, where flat compact sand stretches for miles of beautiful oceanfront. Best places to run in Costa Rica's vibrant capital include the beautiful running trails of La Sabana and La Paz parks, the University of Costa Rica Campus, and the elegant metropolitan neighborhoods of Santa Ana and Escazú. One of the liveliest towns in Puntarenas, known for its great nightlife and high-octane adventure tourism. Good running options here are the 4.75 km Jaco Beach, and a quiet road at the southern end of Playa Hermosa that goes for 5+ km. One of the top tourist destinations in Costa Rica. 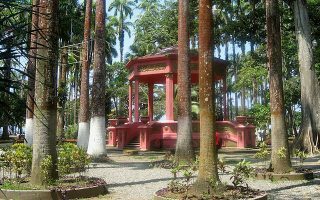 Head for a lush run on the area's numerous flat, well maintained trails, including the Heliconias Trail and the paved Peninsula trail which runs along Lake Arenal. Enjoy a post-run hot springs soak! 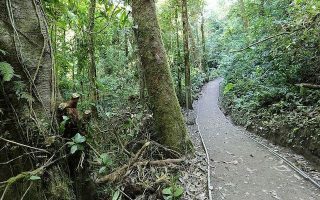 Routes in the Quepos/Manuel Antonio National Park area include a sidewalked roadway, the Quepos boardwalk, Espadilla Beach, and trails within the park. A splendid road run from the village of Santa Elena to the famous Monteverde Cloud Forest Reserve. Other runs include trails in Monteverde Reserve and Curi-Cancha Reserve (set hours & admission required). Our favorite runs in the Limón region on the Caribbean coast, including the city of Limón or Puerto Viejo de Talamanca. Weather in Costa Rica will affect your running. Be aware of the heat in any season, though humidity will vary depending on location and season. But you will have to content with warm temps at nearly any time of year. Expect high temperatures in the 80s and low 90s (26-32C) at any time of year. The wet season is truly wet, with many areas averaging 70+ inches and 25 days of measurable rain in the wet months (May-October). 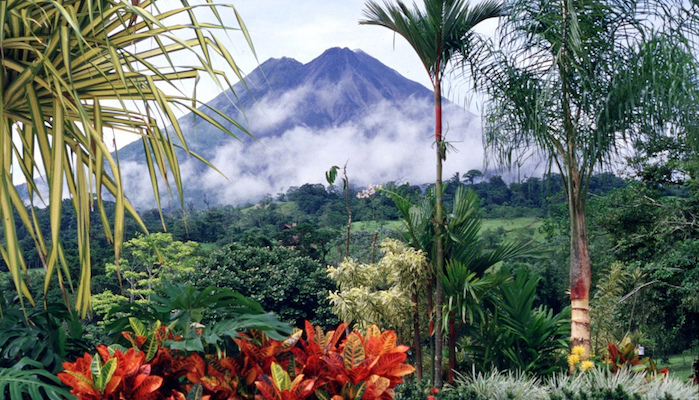 The areas covered in our guide are some of the top spots to stay in Costa Rica. For more info, VisitCostaRica has a nice guide to accommodations. There are a few running and athletics stores in Costa Rica, mostly centered around San Jose. For group runs and races, check out Runners Club Costa Rica. Costa Rica has marathons, half marathons, trail races, and all sorts of 5 and 10 k races. See upcoming races here.